Watch “Stutterer” – The Short that Won an Oscar, but was Rejected by Sundance. Stutterer doesn’t look or feel like a first film. Its confident direction, from bold voiceover to distinct visual style, belies the fact that it was director Benjamin Cleary‘s first time behind the camera. (Spoilers ahead) What an amazingly emotional film. You can feel the frustration as his inner voice begs to break the chains from its captor. Come to find out what holds him captive is what eventually will set him free. Meeting El and finding out their both just two pieces of a puzzle sends a wave of relief rushing over him that I don’t think I will ever feel. Working in a job that makes him press letters, being unable to help someone in distress, and trying spit a bit a philosophy to a friend are all things that torture his soul. You can see it in his eyes. Meeting El, someone who with he can finally communicate with, is the perfect ending to this wonderful story. Bravo, Mr. Cleary. I look forward to more from you. PS – This was shot for 5k over 3 days. Do any of the other nominees have a 24 hour music video? Didn’t think so. Go on with your bad self Pharrell. Few people have had a better, more consistent career than Leonardo DiCaprio. This year, at age 39, he was nominated for his THIRD best actor Oscar, 20 years after he was nominated for his first Oscar (best supporting actor for What’s Eating Gilbert Grape). Getting nominated for an Oscar twenty years apart is a pretty impressive feat within itself, but it’s what happened between those two Oscar noms that has brought Leo to where he is today. All he’s done since his first Oscar nomination at the age of 19 was star in a slew of classic movies, dominate the profession like DeNiro did a generation before him and become the muse for one of the greatest directors in the history of cinema. Oh, and he’s picked up three more Oscar nominations as well. Seriously, look at Leo’s movie lineup and name me one GLARING flaw. Obviously not all of his films achieved critical and box office success, but the movies he’s been in since ’93 and now for this ongoing 12 year stretch are insanely consistent. 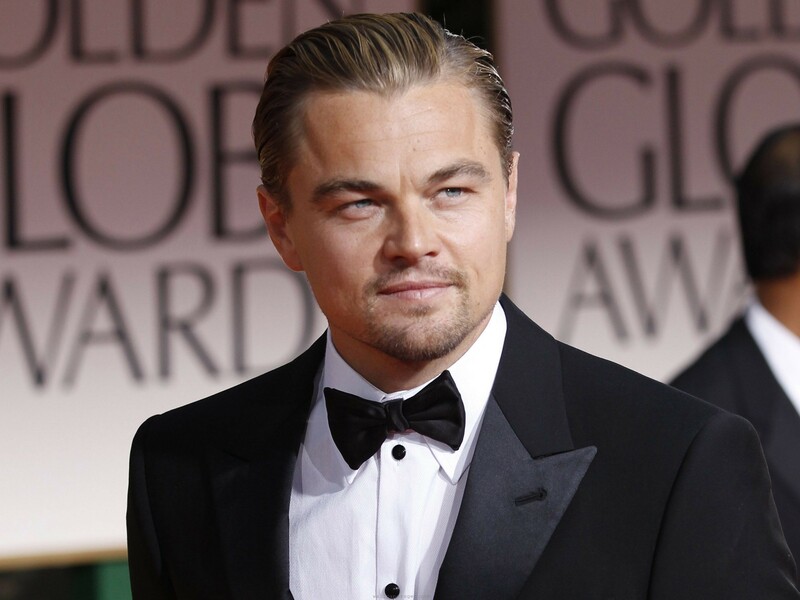 From 2002-2006 he made five films: Gangs of New York, Catch Me If You Can, The Aviator, The Departed, Blood Diamond. That’s a good career for most actors. Leo turned it into a 5 year stretch of awesomeness. He made two films in 2008 (Body of Lies, Revolutionary Road) that were good movies, but nothing spectacular. He then followed that up with three monster performances with a weird J. Edgar in the middle: Shutter Island, Inception and Django Unchained. Those are 7 of the best movies of the past 12 years that had one huge thing in common: Leonardo DiCaprio. All those memorable performances and fantastic movies have led to this year, where Leo is nominated for an Oscar for the fourth time in his career, this time for playing the wall street con man Jordan Belfort in Wolf of Wall Street. This year, just like every other year at the Oscars, Leo is up against a stacked list of nominees. I didn’t see Dern or Ejiofor, but I think it’s safe to say both men were very good in their lead role. I did, however, see Christian Bale and Matthew McConaughey. Bale was great in American Hustle, but with a great cast who all hit their performances out of the park, I think it will be tough for Bale to come away with the win. McConaughey was fantastic in Dallas Buyer’s Club. His physical transformation was mesmerizing and haunting, and he stole just about every scene he was in, which is quite the accomplishment considering he was in 95% of the scenes in the film. Without seeing Dern or Ejiofor, he’d be my early favorite to win. But I’d like to see Leo, 20 years after his first nomination, take home the golden statue. Either way, I can’t wait for March 2nd. May the best man win. Tags: actor, best, DiCaprio, Leonardo, nomination, oscar, wolf. of. wall. street. movie. award.